Mini India has launched a new limited run Oxford Edition for its Cooper S hatchback in the country at Rs 44.90 lakh (ex-showroom India). This is limited to just 25 units and is available to book exclusively on Amazon India. 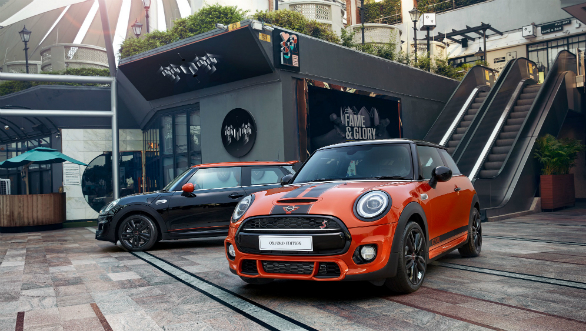 The Oxford edition gets a host of exterior and interior adornments which highlight Mini's British heritage. 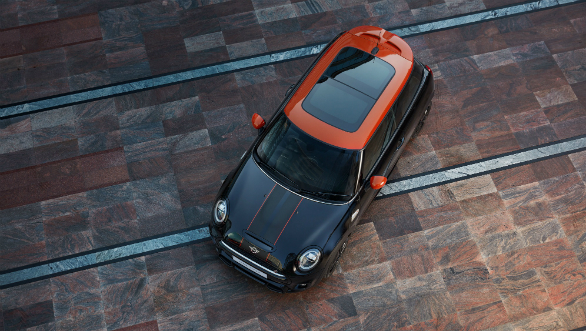 It comes in two colour options, a new Solaris Orange shade with contrasting black roof and an inverted black option with an orange roof. The Union Jack motif is incorporated into the car at various places like the Rear Lights, customised Side Scuttles, door sill, LED Door upholstery and dashboard. Piao black accents litter the exterior of the car with the headlamp surrounds, radiator grille, door handles and fuel filler cap finished in this material. Other kit on the outside not found on the standard car are the JCW rear spoiler, new front and rear apron, 17-inch black alloy wheels and chrome finished tailpipes. Debuting the Mini Your customisation options in India for the first time, the Oxford Edition cars get bespoke, side scuttles, LED door sill finishers and LED puddle lights. The interiors carry forward the theme set on the outside. There is an illuminated dashboard, a leather-wrapped steering wheel and more piano black inserts. The Oxford Edition cars get a number of otherwise optional packages as standard. This includes the Mini Excitement Pack which adds ambient lighting, the Mini Wired package adds an 8.8-inch touchscreen with most of the functionality that you could expect, along with a Harman Kardon sound system. Other notable features include a head-up display, start/stop system and run-flat tyres. Mechanically the Oxford edition cars remain unchanged. They are powered by a 2.0-litre four-cylinder turbo petrol which puts out 192PS and 280 Nm. This is mated to a seven-speed dual clutch auto. 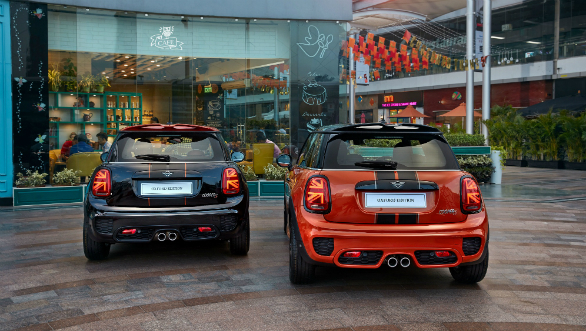 Mini claims a 0 to 100 kmph time of 6.7s for these cars. The Oxford Edition is a showcase of hip, youthful look that the company associates with. The wide range of tasteful adornments will likely appeal to younger buyers who want a fun, competent hatchback that is a step away from the crowd.